HOME > NEWS > Is Online Gambling a Threat to Macao? Is Online Gambling a Threat to Macao? Macao overtook the Las Vegas strip as the gambling hub of the world back in 2006, when gambling revenue soared by 22% and reached $6.95 billion. Since China regained control of the former Portuguese colony in 1999 the small island has enjoyed a huge boom in casino investment. In a short space of time, the annual revenue has risen dramatically, with a total of $2.75 billion taken in just February of 2017. But with online gambling also on the rise, could this be a threat to Macao's status as Earth's greatest casino hotspot? Judging by the figures, the rise of online casinos could be having an adverse effect on the Chinese gambling stronghold. In 2016 it was reported that Macao had experienced a terrible spell in which every month for 26 straight months, casino revenue fell. This period was remedied, though, by the fathers of 21st Century Macao Steve Wynn, and Sheldon Adelson opening new resorts. There was also a push to expand the city's destination appeal beyond greater China, as a large proportion of the visitors to the casinos there are Chinese. The online casino sector may not be a threat to massive locations such as Macao, but it is certainly keeping smaller gambling hubs on their toes. The annual revenue of the industry is rising rapidly each year, with a market size of $47.11 billion in 2017 which is projected to grow to $59.79 million by 2020. Online gambling is flourishing because it is beginning to offer similar experiences to what players would find in an actual casino. This is done through incorporating live links to real table games like roulette and blackjack, and there are also virtual reality offerings in production which will add to the realism. Playing online is also more user-friendly for beginners, as there is a wealth of information at their fingertips to help them out. The Gambler's Ruin Theory, for instance, details how players can gain an advantage while playing, looking at actual odds of winning or losing a hand and certainly taking players' skills to the next level. It's also pretty handy to open up numerous web pages that show blackjack winning hand statistics and other useful tips. It could be argued that the booming online casino industry could actually end up benefiting Macao in the long run. New players would join online casino sites, learn the ropes, and develop a passion for the games, and then they may seek the thrill of doing it all in a real life setting. 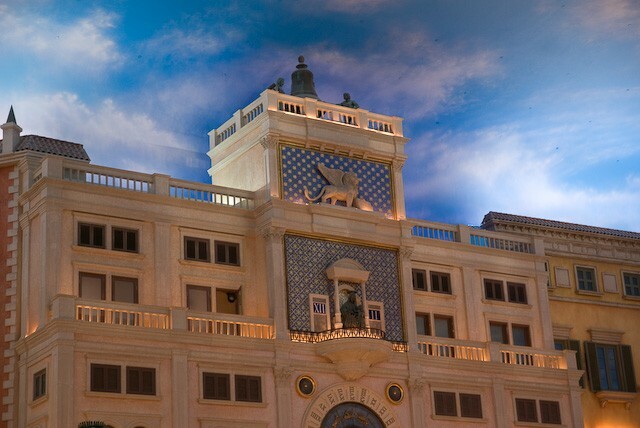 Macao is famous for some of the most stunning casinos in the world such as the Venetian Macao, which is the biggest casino in the world and the seventh-largest building by floor size. This would certainly be one to tick off the bucket list. Las Vegas is still probably the most famous gambling region in the west, as it has appeared in a multitude of hit films such as Ocean's Eleven and The Hangover. But it has also been established for much longer than Macao. If Macao manages to attract greater numbers of players from the online casino crowd, and find more representation in the mainstream media, it could continue to rise to even greater heights.